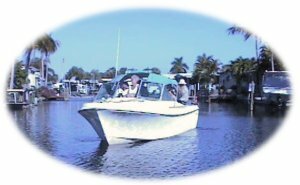 BOAT TO THE GULF FROM YOUR BACK YARD! The Manufactured Homesites in the final phase all have frontage on private canals with access to Estero Bay and the Gulf of Mexico. Each Bayside Estate resident "owns" their lot and home. Bayside Estates is a Community of beautiful manufactured homes. There are no lot rental payments, only a nominal maintenance fee. The most exclusive waterfront lots in the final phase face a 26 acre natural preserve, that was deeded to the county which will remain a preserve for wildlife and natural vegetation. This final phase represents the only land available for development. When the few remaining waterfront lots are sold, Bayside Estates will be completed. Therefore, your decision to purchase a lifestyle at Bayside Estates should be considered seriously and now!